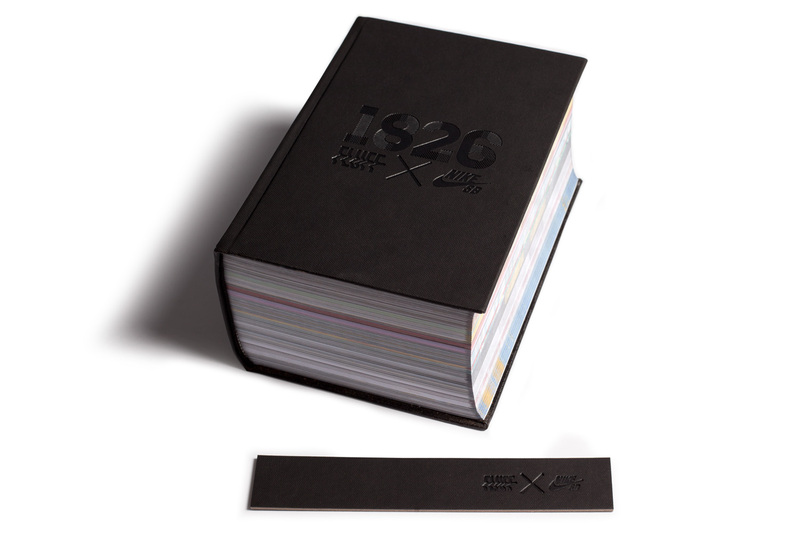 This 12cm thick book is a 1826 page visual narrative following the adventures of Nike SB team riders Youness Amrani, Fernando Bramsmark, Karsten Kleppan, Hjalte Halberg, Daniel Lebron, Theotis Beasley, Luan Oliveira, Kyron Davis, Maxime Geronzi , Donovon Piscopo and many more around the globe over the last 5 years. The book is captured in its entirety through the lens of FLUFF / NikeSB photographer Marcel Veldman. At 18:26 on January 19th, 2015 ‘1826' was premiered exclusively at the Civilist / Nike SB store in Berlin.